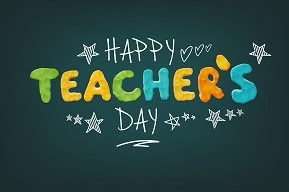 Teacher's Day is celebrated on the 5th of September in India. Teacher's Day is marked in honour of Dr Sarvepalli Radhakrishnan, who was born on September 5, 1888. Dr Radhakrishnan was India's first vice president and second president. He was a great scholar, philosopher and Bharat Ratna recipient. Since 1962 - the year he became president - India has commemorated Dr Radhakrishnan's birth anniversary by paying tribute to its teachers and gurus on this day. Read on to find out more about the importance, significance and history of Teacher's Day in India. The quiz will have multiple choice questions on climate change, biodiversity, forest and wildlife, pollution, waste management, rivers and lakes and natural history etc. Whitson’s 665 days off the planet 288 days on this mission alone exceeds that of any other American and any other woman worldwide. She checked out of the International Space Station just hours earlier, along with another American and a Russian. Their Soyuz capsule landed in Kazakhstan shortly after sunrise Sunday Saturday night back in the U.S.
Whitson was the last one carried from the Soyuz. 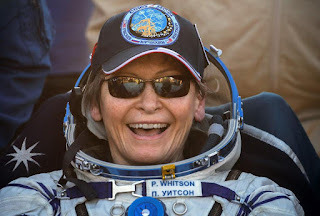 Whitson set multiple other records while in orbit — world’s oldest spacewoman, at age 57, and most experienced female spacewalker, with 10. She also became the first woman to command the space station twice following her launch last November. The post has been lying vacant after the earlier US ambassador Robert Verma had to quit following the change of guard at the White House with Donald Trump becoming president in January. 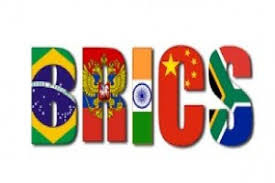 Juster, 62, was deputy assistant to President Trump for International Economic Affairs until June and had emerged as the leading interlocutor for the administration with India. 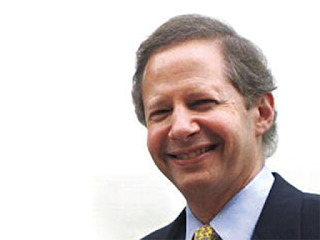 As under secretary for industry and security in the US Department of Commerce, Juster was in India to carry forward the US-India dialogue on promoting high technology trade in 2003. 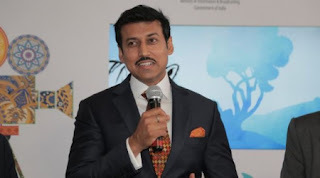 Rajyavardhan Singh Rathore was appointed as the country’s Youth Affairs and Sports Minister in place of Vijay Goel who has been made the Minister of State for Parliamentary Affairs. The 47-year-old Rathore was up until now serving as the Minister of State for Information & Broadcasting. After taking premature retirement from the Indian army, Rathore joined the Bharatiya Janata Party in 2013 and was sworn in as minister of state for information & broadcasting when the Modi government came to power in May, 2014. Goa Chief Minister Manohar Parrikar launched an online portal for redressal of public grievances — aimed at addressing complaints within 30 days. 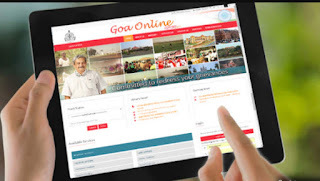 Access to the portal www.goaonline.gov.in can be availed after providing basic information like name, address, mobile number, Aadhaar number, date of birth, email id, etc. After registration, the citizens can login using their credentials and enter the details of their grievance and mention the concerned department towards whom it is addressed. 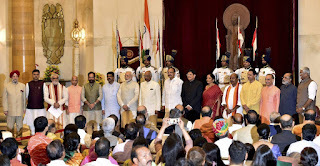 Prime Minister Narendra Modi elevated four senior ministers to the cabinet rank as he roped in nine new faces to the Union council of ministers on Sunday morning. The ministers promoted were Mukhtar Abbas Naqvi, Dharmendra Pradhan, Piyush Goyal and Nirmala Sitharaman. Rajnath Singh: Minister of Home Affairs. Sushma Swaraj: Minister of External Affairs. Arun Jaitley: Minister of Finance; Minister of Corporate Affairs. Nitin Jairam Gadkari: Minister of Road Transport and Highways; Minister of Shipping; Minister of Water Resources, River Development and Ganga Rejuvenation. Suresh Prabhu: Minister of Commerce and Industry. DV Sadananda Gowda: Minister of Statistics and Programme Implementation. Uma Bharati: Minister of Drinking Water and Sanitation. Ramvilas Paswan: Minister of Consumer Affairs, Food and Public Distribution. Maneka Sanjay Gandhi: Minister of Women and Child Development. Ananthkumar: Minister of Chemicals and Fertilizers; Minister of Parliamentary Affairs. Ravi Shankar Prasad: Minister of Law and Justice; Minister of Electronics and Information Technology. Ashok Gajapathi Raju Pusapati: Minister of Civil Aviation. Anant Geete: Minister of Heavy Industries and Public Enterprises. Narendra Singh Tomar: Minister of Rural Development; Minister of Panchayati Raj; Minister of Mines. Chaudhary Birender Singh: Minister of Steel. Jual Oram: Minister of Tribal Affairs. Radha Mohan Singh: Minister of Agriculture and Farmers Welfare. Thaawar Chand Gehlot: Minister of Social Justice and Empowerment. Smriti Zubin Irani: Minister of Textiles; Minister of Information and Broadcasting. Harsh Vardhan: Minister of Science and Technology; Minister of Earth Sciences; Minister of Environment, Forest and Climate Change. Prakash Javadekar: Minister of Human Resource Development. Dharmendra Pradhan: Minister of Petroleum and Natural Gas; Minister of Skill Development and Entrepreneurship. Piyush Goyal: Minister of Railways; Minister of Coal. Nirmala Sitharaman: Minister of Defence. Mukhtar Abbas Naqvi: Minister of Minority Affairs. Indira Gandhi had served as the defence minister in 1975 and again in 1980–82. However, Sitharaman is the first woman to hold the position full-time. Sitharaman, who was born in Madurai, Tamil Nadu’s temple city, is now heading world’s third-largest defence force, which has 1.4 million personnel. In 2008, Nirmala joined the BJP and by 2010 became the party’s second woman spokesperson after Sushma Swaraj. When the BJP came to power in 2014, she was made the minister of state for commerce. 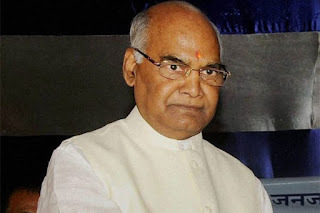 President Ramnath Kovind laid the foundation stone of the second phase of link-4 pipeline canal of Saurashtra Narmada Avataran Irrigation (SAUNI) Scheme in Rajkot district of Gujarat. After becoming the President in July this year, Kovind visited Gujarat for the first time. The Scheme aimed to fill up about 115 dams by the overflowing waters of Sardar Sarovar Dam on Narmada River. The entire project will benefit more than 2 lakh acres of farm land and more than 900 villages of 7 districts of Saurashtra.